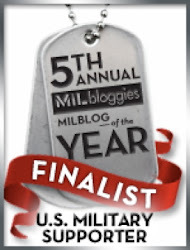 What color do our Men and Women in the Armed Forces bleed for us? The answer is red. In Honor of their sacrifice a grassroots organization has started Red Shirt Fridays. There are 52 Friday's in a year (unless of course it's a leap year, then it's 53) which is just a really good beginning to letting our Armed Forces know we care. We support them. We have not forgotten them. I expect everyone to wear a red shirt on every Friday. 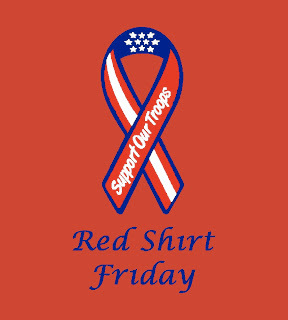 If you don't own a red shirt, Red Shirt Fridays Organization has partnered up with a company that makes them, inexpensive, and all profits go to support the troops. There are other sites out as well who make Red Friday Shirts, no excuses. Make it happen at your school, office, and in your family.